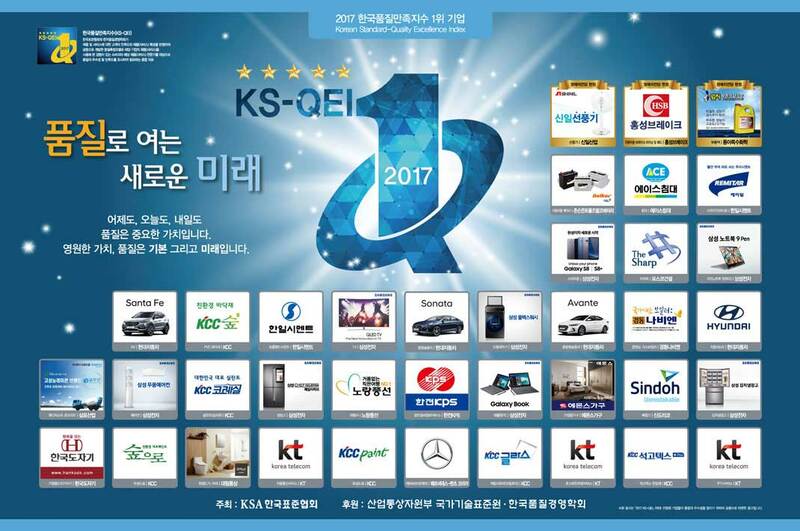 Johnson Controls Delkor Battery Corporation has been selected as the No.1 company in car battery, on the Korean Standard Quality Excellence Index (KS-QEI).This is the 12th consecutive year the company’s Delkor® batteries have been listed on the KS-QEI, the top award for quality from the Korean Standards Association (KSA).The award ceremony is held in Seoul, Korea, on 14 September 2017. Renowned and recognized as the best quality battery maker, Johnson Controls Delkor Battery Corporation is constantly improving to meet our customers’ evolving needs. Johnson Controls Delkor Battery Corporation adheres to global product and process standards to ensure quality in its evaluation system and strict compliance, from raw materials production by suppliers to internal manufacturing process, inspection and shipment. In order to challenge and achieve zero defect rates, we implemented a system to perform automatic inspection of all products. Our best effort is rewarded with our customers’ satisfaction. Constantly innovating, Delkor brand AGM battery which uses our patented grid technology provides excellent starting power, higher cycling capability and reliability, for advanced Start-Stop vehicles with regenerative braking systems. Delkor AGM battery has been used as the bench-mark product in the industry. Johnson Controls Delkor Battery Corporation is the first automotive battery maker in Korea to supply MF (Maintenance Free) battery. We have more than 30 years of experiences in the local industry! Johnson Controls Delkor Battery Corporation is part of Johnson Controls Power Solutions with global headquarter in Milwaukee. Johnson Controls Power Solutions is the world’s largest supplier of vehicle batteries, producing 152 million batteries – one-third of the industry’s output – every year, powering every type of passenger vehicle, heavy-duty and light commercial trucks, motorcycles, golf cars, lawn and garden tractors, and marine applications. Globally, we have 15,000 employees working in more than 50 locations worldwide. We are the first in United States to manufacture lithium-ion cells and complete hybrid battery systems for automobiles.